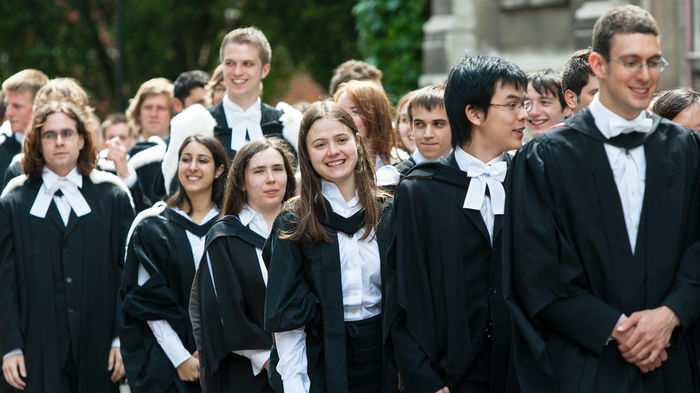 The University of Cambridge accepted a smaller percentage of women undergraduates this year compared to 2016, according to new UCAS statistics, marking the first time since 2011 that the proportional intake for women did not rise from its rate the previous year. In the 2017 cycle, 47.8% of students accepted to Cambridge were women, compared to 48.3% in 2016 and 48.1% in 2015. The proportion of women admitted as a percentage of Cambridge’s total undergraduate acceptances had been steadily rising since 2011 – Varsity predicted last year that the University would achieve gender parity in 2020 if it followed its current trend. However, the most recent numbers from UCAS suggest that the path toward gender parity at Cambridge could be less steadfast than previously expected. In 2017, Cambridge University admitted 1,815 men and 1,665 women, making its gender ratio less balanced than that at Oxford, which accepted 1,660 men and 1,635 women – a female intake of 49.6%. Cambridge bucks the nationwide trend, with women now a third more likely to go to university than men. Almost 30,000 more women than men were accepted to British universities last year. Cambridge’s gender gap widens for EU and international students, who made up a quarter of those accepted in 2017. Among non-UK students, Cambridge had a female intake of 43.4%, having accepted 495 men and 380 women. For home applicants in 2017, the percentage of women accepted reached 49.3%, a slight decline from 49.5% in 2016, but a rate higher than that of non-UK students. Varsity reported earlier this year that amongst home applicants, women received more offers than men in 2017 – 1,660 women, compared to 1,645 men – but that more men took up their offers. The gender disparity widens when looking at individual subject areas: In 2016, the Computer Science Tripos accepted the lowest proportion of women of any subject – just 13.1% of total students accepted. The University also saw low proportions of women in its 2016 intake for the Mathematics Tripos, at 17.6%, and the Engineering Tripos, at 23.1%. Is Cambridge doing enough to encourage women in STEM? A spokesperson of the University of Cambridge told Varsity that “gender proportions are kept under review, particularly on a course by course basis”. Cambridge’s percentage difference by gender is also more pronounced for fee-paying schools in the UK, as men have historically outnumbered women in acceptances from independent schools. In contrast, women outnumbered men in acceptances from the maintained sector – comprehensives, grammar schools, sixth-form, further education, and tertiary colleges – in both 2015 and 2016. Cambridge has not yet published gender breakdowns by subject or school type for its 2017 admissions cycle.